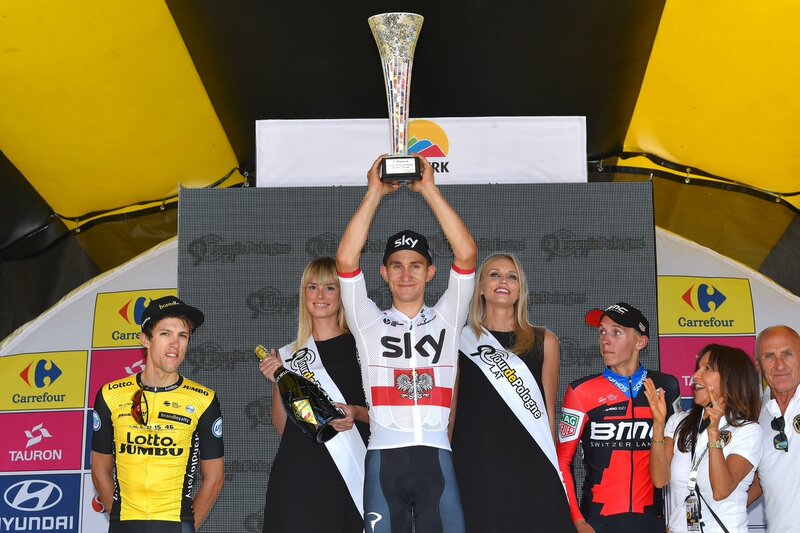 Michal Kwiatkowski powered his way to victory along the challenging uphill finish in Szczyrk to claim stage 4 of the Tour de Pologne today. The Team Sky rider out-kicked defending champion Dylan Teuns (BMC Racing), after distancing his Belgian rival through the final corner to seize the stage honors. Meanwhile, George Bennett (LottoNL-Jumbo) rolled across the finish a few seconds later to secure the final spot on the podium. Kwiatkowski now leads the overall classification with an 8-second advantage over Teuns. The day’s breakaway group consisting of Bert Van Lerberghe (Cofidis), Jan Tratnik (CCC Sprandi Polkowice) and Mark Rutkiewicz (Poland) were eventually joined by George Preidler (Groupama-FDJ), Ivan Rovny (Gazprom-Rusvelo), Patrick Konrad (Bora-Hansgrohe) and Jorge Arcas (Movistar) after 40 kilometers of racing. Tratnik being the last survivor of the original breakaway was later distanced by the newly formed lead group, while the remaining escapees were eventually caught during the last 12 kilometers as well. 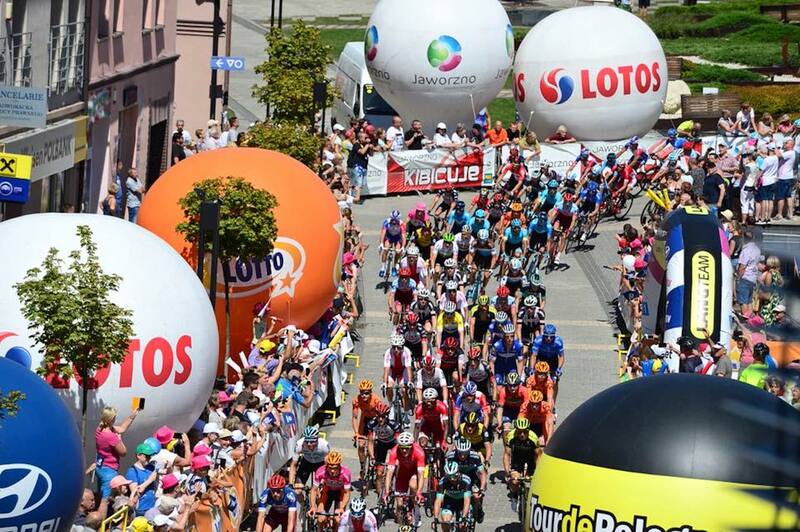 From there, Pavel Sivakov led the peloton over the top of the final climb, while a large group of around 50 riders remained together as they made their way down the descent to the final 900-meter uphill finish in Szczyrk. Teuns made his own move soon after Carapaz was caught with 300 meters remaining. 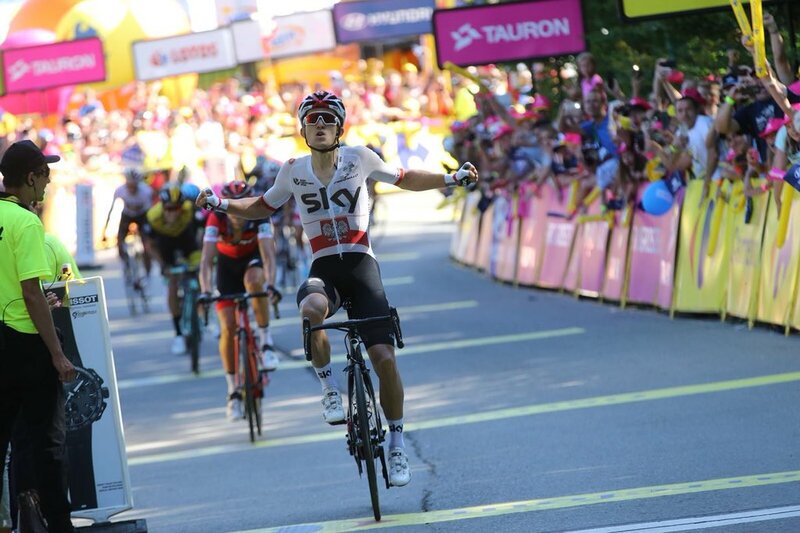 But, Kwiatkowski latched onto his wheel, pushing past the Belgian rider with just a few meters remaining to take his first ever stage victory in his country’s race.